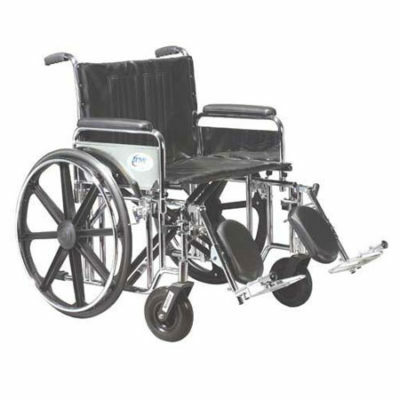 The 22″ Bariatric Aluminum Transport Chair with 12″ Rear “Flat Free” Wheels by Drive Medical can support individuals up to 450 lbs. 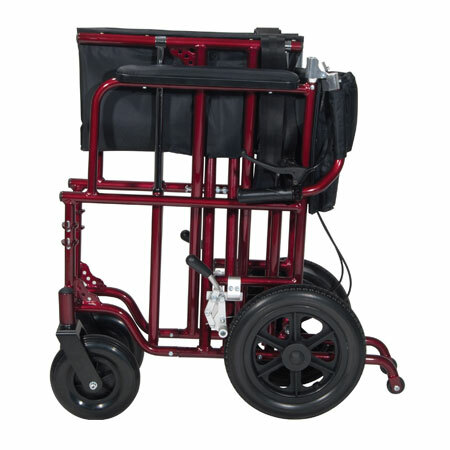 The attachable push bar with padded foam grip makes it easy to push, and the back folds down for convenient and easy storage with an easily accessible lever on the chair back. 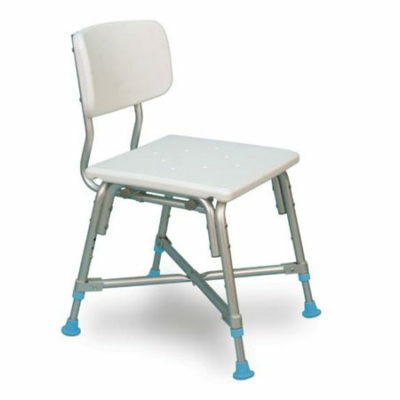 This transport chair comes with 12″ rear flat-free wheels, swing-away footrests and fixed, padded, full length desk arms for additional comfort. 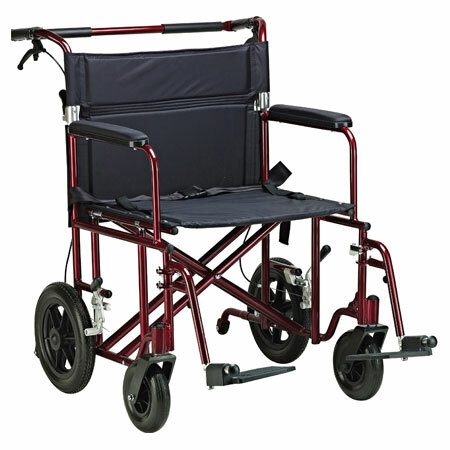 The heavy-duty, nylon reinforced upholstery has two carry handles for when the seat is folded for storage and transport, making it easier to carry. 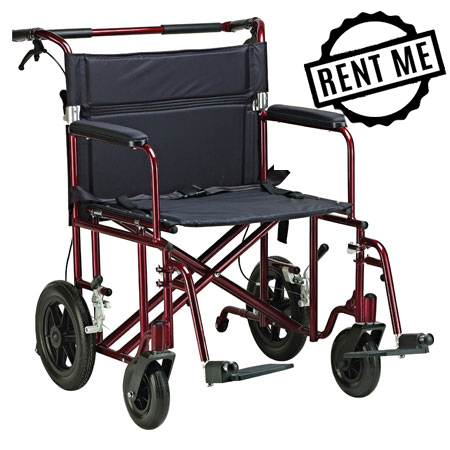 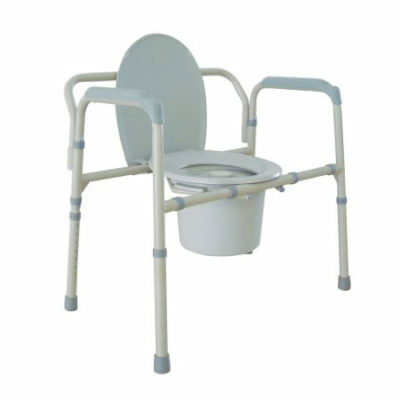 Comes with lever and companion activated wheel locks, ensuring users safety.